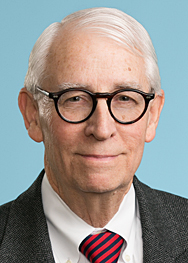 On June 6, the U.S. Court of Appeals for the Second Circuit held, in the matter of In re: World Trade Center Lower Manhattan Disaster Site Litigation, that the District Court’s decision to dismiss, as being time-barred, many claims alleging tort and labor law claims arising from the plaintiffs’ participation in post -9/11 cleanup efforts must be vacated. After the initial dismissal, the New York Legislature enacted a special law which revived for one year all of these otherwise time-barred claims. However, in response the arguments made by the defendant Battery Park City Authority, the District Court held that this new law was unconstitutional under the New York State Constitution. The Second Circuit certified two questions on state law to the New York Court of Appeals, which opined that the law is constitutional. With this opinion in hand, the Second Circuit held that the Battery Park City Authority lacked the capacity to challenge this law as unconstitutional, and therefore its challenge must be rejected. The case was then remanded to the District Court.